There has been lots of buzz this week surrounding Michael Schumacher and this newly suggested idea that the GoPro camera he was using may have been part of the “problem” and may have worsened his head injuries. The sheer scale of this speculation is massive and the resulting press articles have sent shares of GoPro, lower this week. Time will tell what happens with this one as we are sure there will be more to come here. 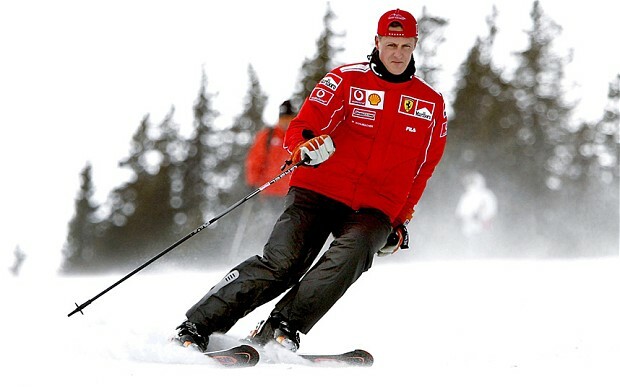 Seven-time F1 champion Schumacher suffered severe head injuries in a skiing accident in the French Alps last December. He emerged from a medically induced coma in June and returned home after being discharged from hospital in September. GoPro is the king of creating amazing video content and they have done it again with today’s posting of a very cool video of pro snowboarder John Jackson. In this new clip, John is taking advantage of the high desert terrain near Mammoth, California while behind the wheel of his powerful and well used sand rail. As car guys we are usual in the know about all things auto but we were not that familiar with the term Sand Rail. Since here in Canada, we typically call vehicles designed for the sand dunes just Dune Buggies. Long story short, these Sand Rail’s look awesome and we need to test one out here in Canada. After watching the video you realize how California’s climate really does have so much to offer the auto enthusiast. And John’s hair just goes so well with the whole Sand Rail mountain experience.